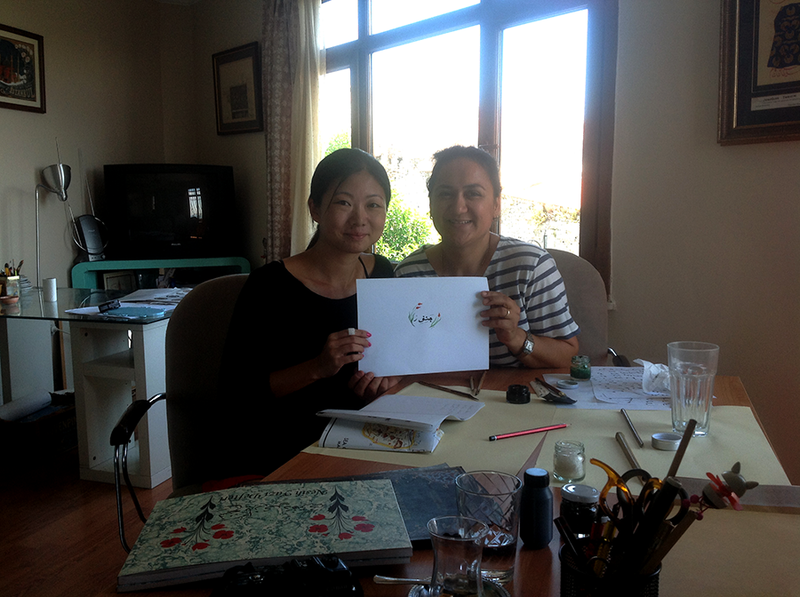 Use the form below to contact tour Calligraphy Lessons & Workshops In Istanbul directly. 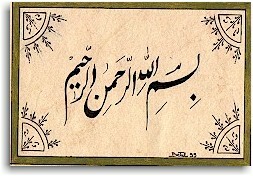 When we speak of Turkish calligraphy, we refer to writing of aesthetic value in characters based on the Arabic script, which the Turks had adopted as their writing medium after their conversion to Islam. The Arabic characters gradually assumed an aesthetic function after the advent of Islam, and this process gathered momentum from the mid-eighth century onwards, so that calligraphy was already a significant art discipline by the time the Turks joined the Islamic world. Therefore it is necessary to begin with a brief review of the structure of Arabic characters and their development during the early centuries of Islam. 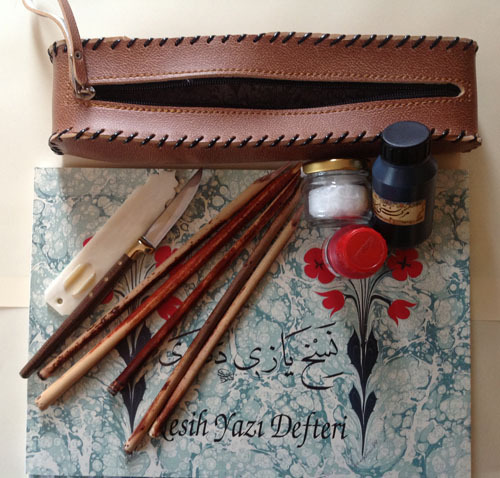 The most succinct definition of calligraphy formulated by Islamic writers is, “Calligraphy is a spiritual geometry produced with material tools.” The aesthetic values implied by this definition held true for centuries. visual impact attained when they were joined together, and above all the fact that the same word or phrase could be written in various ways opened the door to the infinite variety and innovation which is a prerequisite of art. Just as the characters could be written singly in several different ways, so there was an astonishing diversity of different scripts or “hands”. The Arabic characters were adopted — primarily motivated by religious fervour by virtually all the peoples who converted to Islam, so that just a few centuries after the Hegira they had become the shared property of the entire Muslim world. 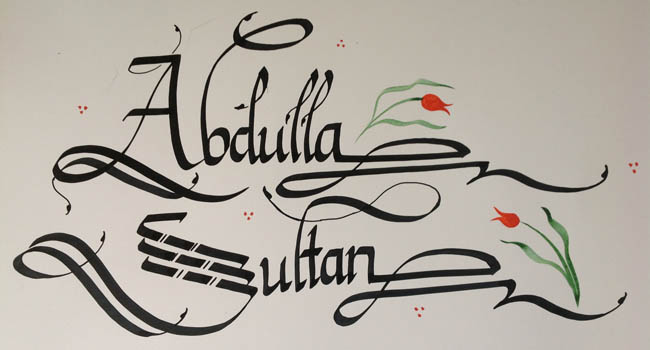 The term “Arabic calligraphy”, which is appropriate with respect to the early period, broadened in scope over time to become what more accurately might be described as “Islamic calligraphy”. The other form, which did not have sharp angles and could be written at far greater speeds, was employed in day-to-day uses, and due to its rounded, flexible character was suited to artistic application. Under the Umayyads, the spread and evolution of this script in Damascus was rapid. It was this form which began to give rise to new scripts after the development of pens with nibs of different widths in the eighth century. Among the earliest of these were the celîl reserved for large scale lettering, and tomar or tûmar which was the standard large size pen used in official correspondence. Pens with a nib width two thirds of that of the tomar pen were known as sülüseyn, and those with nibs one third in width were known as sülüs. These were to give their names to the scripts which were written with them. Other new writing styles which emerged (although all later fell into disuse) were riyasî, kalemü’n-nisf, hafîfü’n-nisf and hafîfü’s-sülüs. As their names indicate, some of the new scripts were based on tomar and written with pens which were specific fractions (half, one third, or two thirds) of the tomar pen. 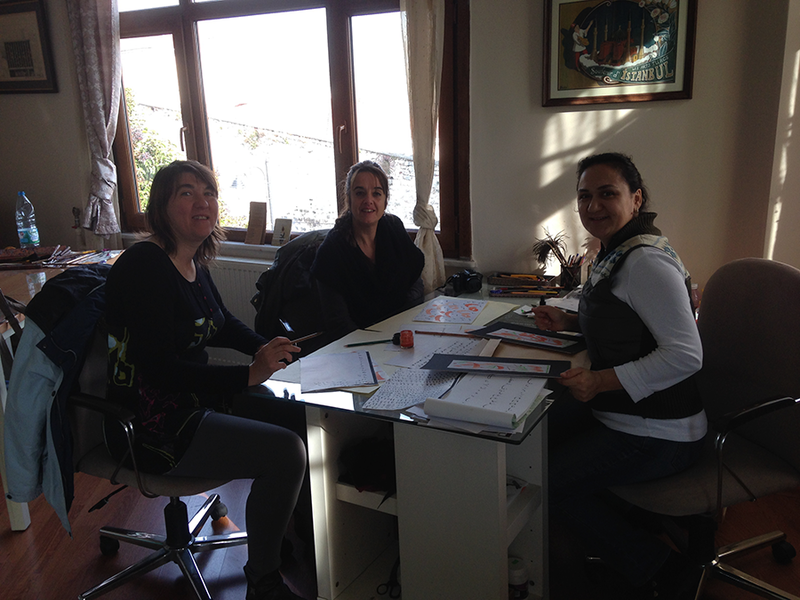 In the process of scaling down, the scripts took on new characteristics of their own, while the word kalem, which referred to the writing instrument, also came to be used for the writing itself (for example, kalemü’n-nisf literally means “half pen”). For scripts such as kisas and muâmerat, which were invented for specific uses and did not involve the proportional scaling down of the pen, the term hat was used. Under the Abbasids, learning and the arts flourished, leading to a swelling demand for books in Baghdad and other major cities. 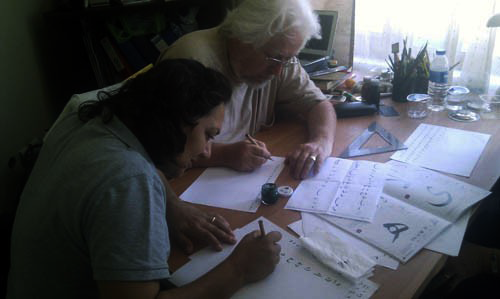 To meet this demand the number of copyists known as verrak also rose, and the script which they employed in the copying of manuscripts was known as verrâkî, muhakkak or irâkî. 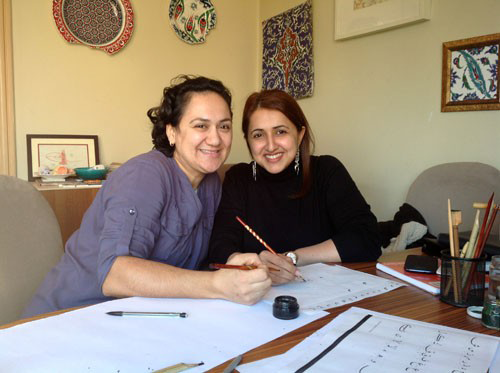 From the end of the eighth century, as a result of the search for aesthetic values by calligraphers, writing forms according to specific proportions and symmetries became known as aslî hat and mevzûn hat. One of the calligraphers who contributed to the development of writing, and the most outstanding among those of this period was Ibn Mukle (? -328/940), who drew up rules for calligraphic composition. 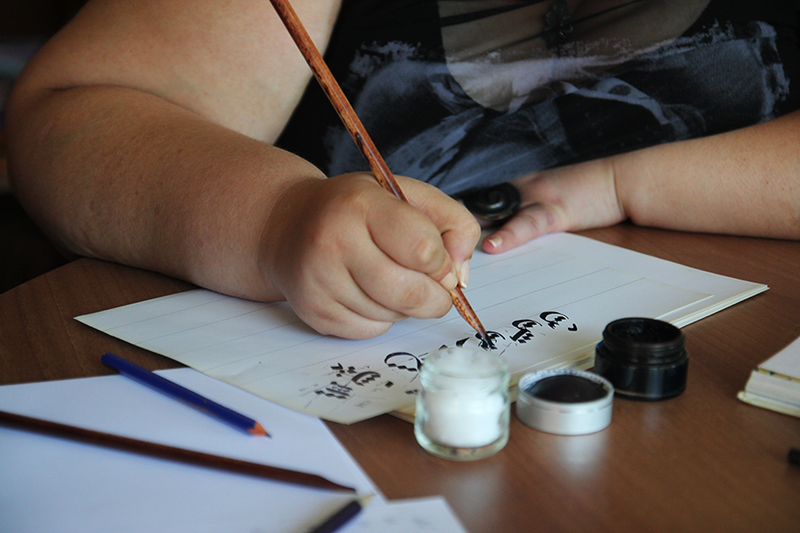 Lettering complying with these rules was called mensûh hatti, a term meaning “proportional writing”. 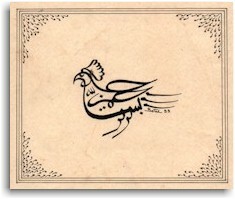 “Zoomorphic” calligraphy: the script means “In the name of God” and forms a bird; its neckband reads “O Merciful, O Compassionate”. the Maghrib, where it became known as magribî. 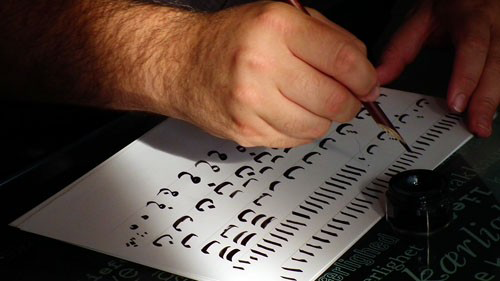 In Persia and further east, meanwhile, kûfî was transformed into a script known as mesrik kûfîsi, which was used until superseded by the aklâm-i sitte scripts. The large scale form of kûfî known as iri kûfî, which was mainly used on monuments, was reserved for decorative purposes in combination with some elements of embellishment. The form of mensûb hatti known as verrâkî mentioned above, which was generally reserved for copying books and therefore known as neshî (a derivation of the verb istinsah, “to copy”), was the prototype for the muhakkak, reyhânî and nesih scripts which emerged in the early eleventh century. 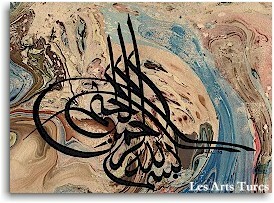 The most outstanding calligrapher of this period, Ibnü’l-Bevvâb (? -413/1022) introduced changes to the rules set by Ibn Mukle and the style he initiated was widely used until the mid-thirteenth century. The calligrapher Ibnü’l-Hâzin (? -518/1124) contributed to the evolution of the tevkî’ and rika’ scripts, and finally Yâkûtü’l-Musta’simî (? -698/1298) who developed the rules set by Ibnü’l-Bevvâb and wrote the finest thirteenth century forms of sülüs, nesih, muhakkak, reyhânî, tevkî’ and rika’ appeared in Baghdad. The above six scripts are known as aklâm-i sitte (“the six hands”). The idea of cutting the nib of the reed pen at an angle instead of horizontally was his, and an innovation which contributed enormous elegance to writing. Once “the six hands” had taken their place in the art of calligraphy together with all their rules, many scripts apart from those mentioned above were abandoned, and no trace of them but their names remains today (for example, sicillât, dîbâc, zenbûr, mufattah, harem, lûlûî, muallâk and mürsel). Following the death of Yâkût his conception of “the six hands” was carried by scribes who had trained under him from Baghdad to Anatolia, Egypt, Syria, Persia and Transoxania. 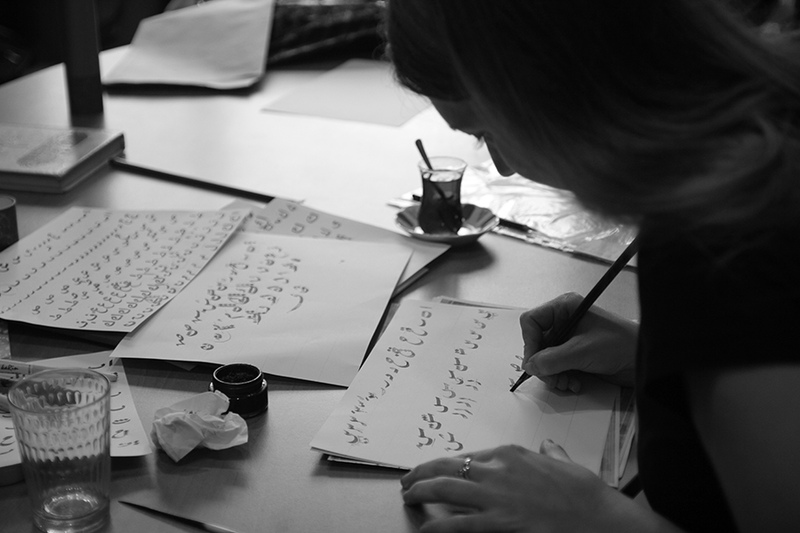 New generations of calligraphers who trained in these lands dedicated themselves to the path taken by Yâkût as far as their aptitude permitted. However, as time passed changes crept in. In the hands of the Ottoman Turks, these six scripts were poised to begin the ascent to their zenith.